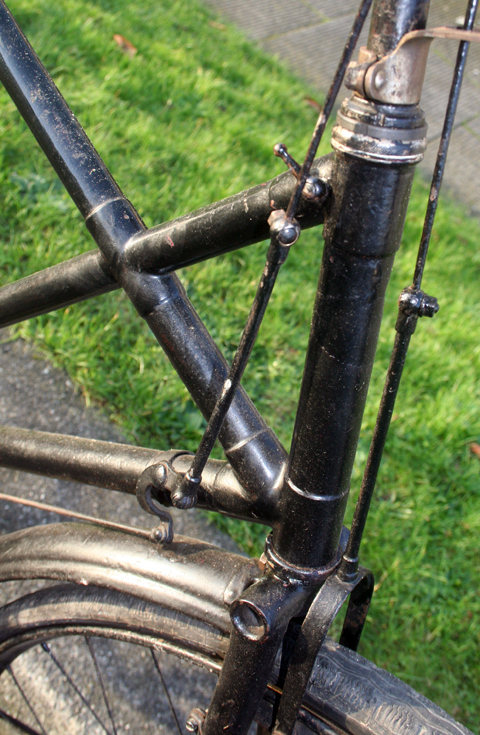 This early Raleigh Superbe X-Frame will be worked on over this winter. 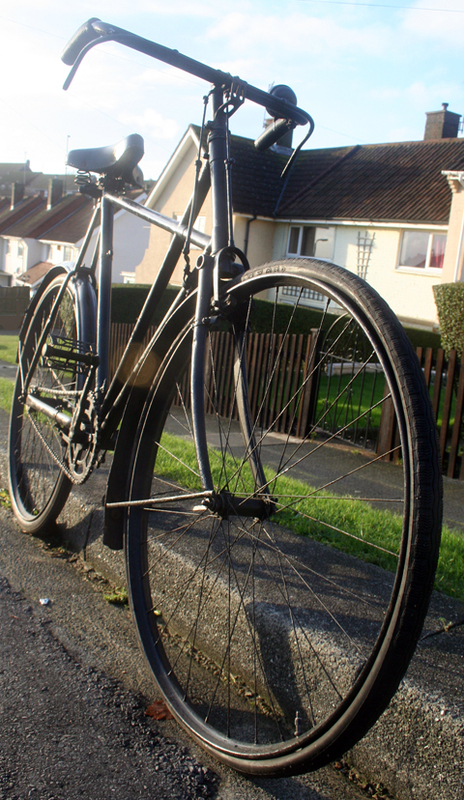 There’s not much to do, essentially a grease up all around, new front inner tube, and a period saddle will finish it off. 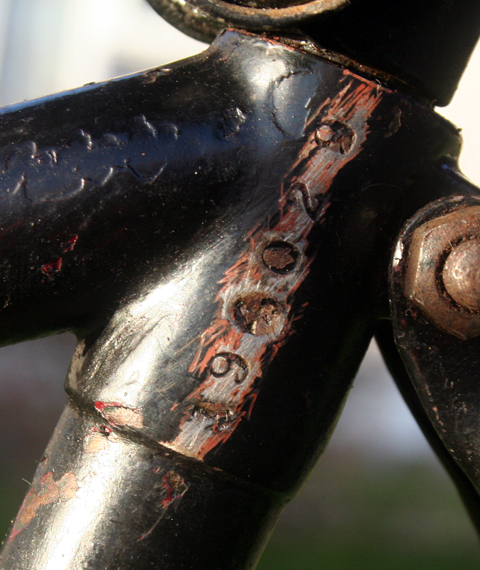 The frame has been repainted at some time, so it has lost its original transfers. 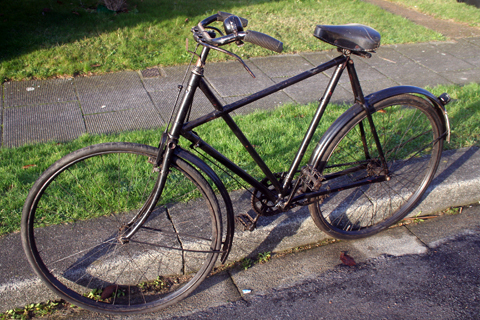 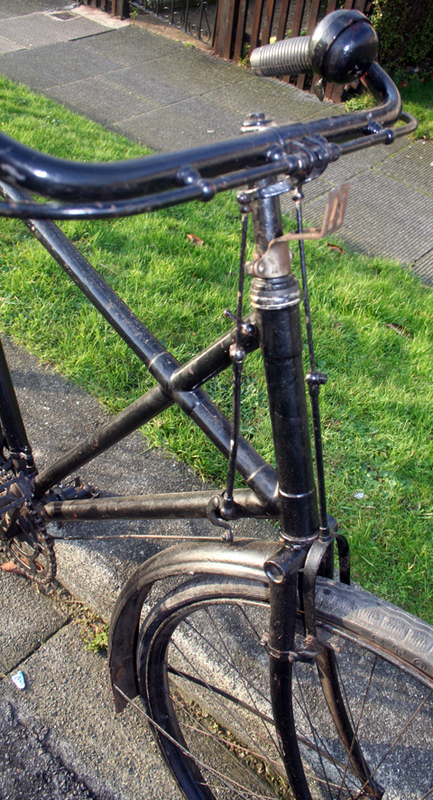 Inverted levers were fitted to the 1907 Raleigh bicycle range. 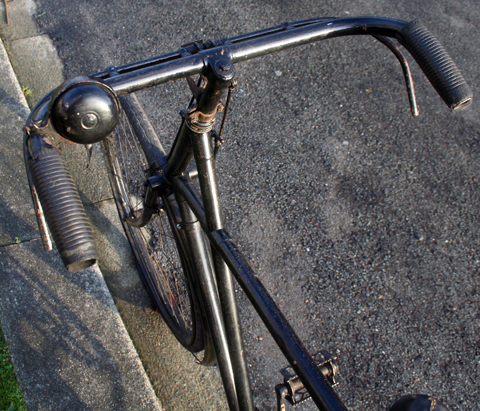 But roller levers were an option. 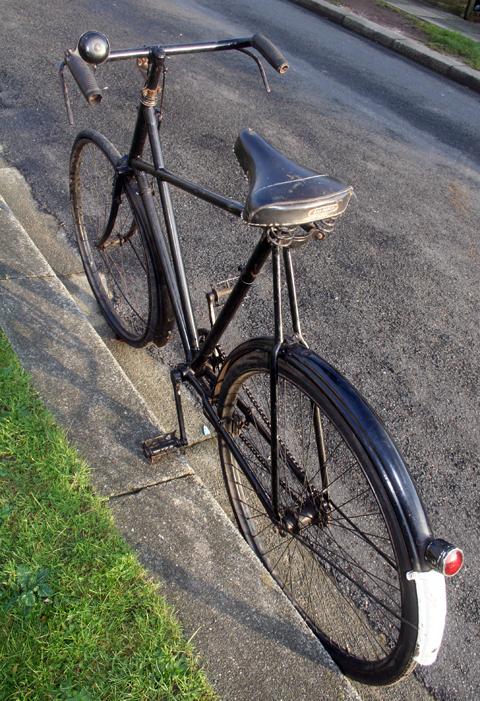 On the top models such as this, they were fitted for free if the customer chose them. 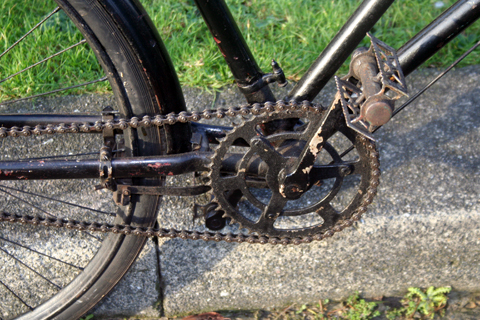 From the catalogue picture, it looks like this model should have a full chain-case. 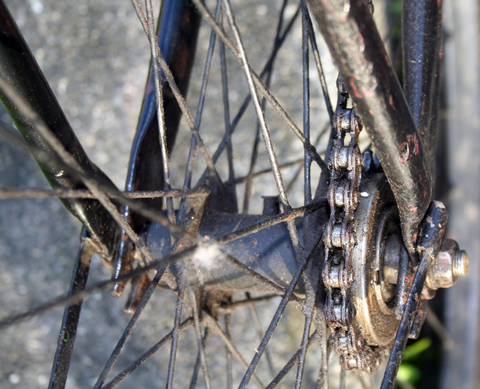 Still, when you’re over 100 years old and still going strong you’re allowed a few minor indiscretions such as a naked chainset. 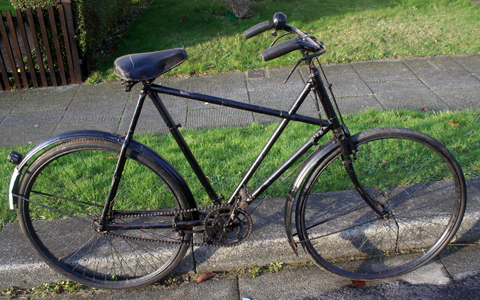 I’m lucky to have the 1908 Raleigh Crossframe to compare it with. 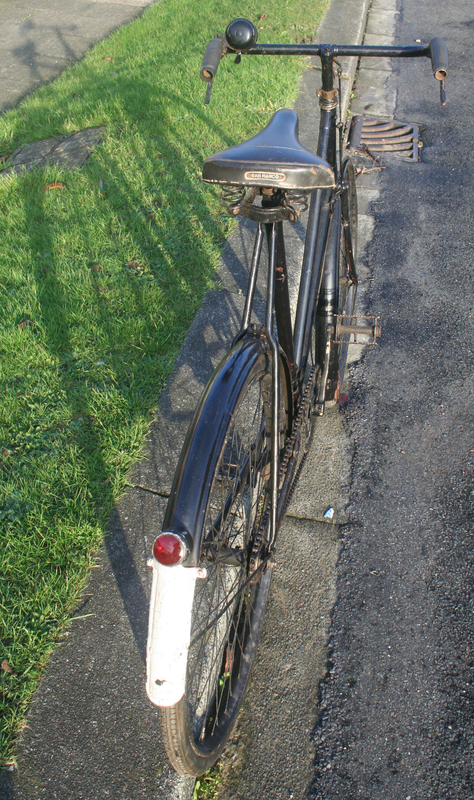 I’ve found that brake parts are often missing on bicycles of this vintage, or have been replaced with later parts. 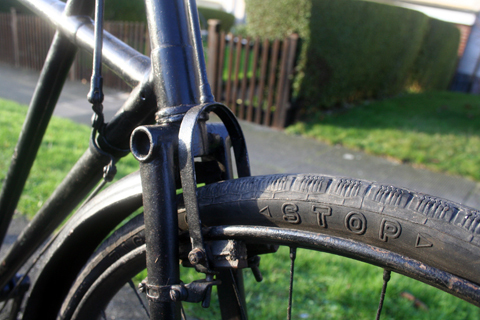 So I’ve taken various photos of the brakes to provide a reference. 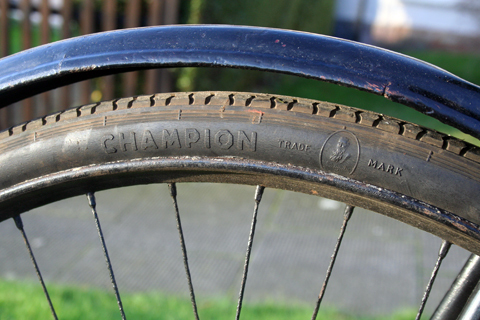 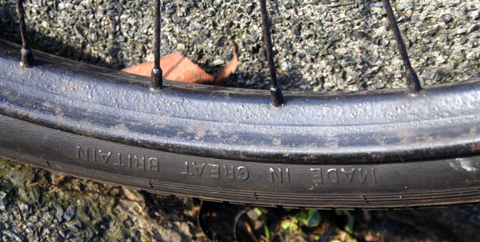 28 x 1 1/2 tyres, with an old Champion on the rear that’s still in usable condition.